FHA, Conventional, Jumbo Low-Interest Rate Loans in Ballwin, Missouri | AA Mortgage Corp. 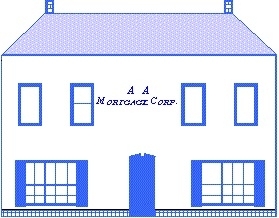 Welcome to the official site of AA Mortgage Corp. Since 1992 we have offered a wide variety of loan programs as a full-service mortgage company based in Ballwin, Missouri. We specialize in low interest rate loans. We also serve the surrounding cities in Saint Louis County. Whether you are buying a home or refinancing in zip codes 63011, we can help you realize your dream of home ownership or save you money when getting your new lower monthly payment. Today's technology is providing a more productive environment to work within. For example, through our website you can submit a complete on-line, secure loan application, or for home loan pre-approval online. You may also evaluate your different financing options by using our interactive calculators and going over various mortgage scenarios. Contact AA Mortgage Corp. today to discuss your mortgage loan options, and find out which loan program will best suit your needs.